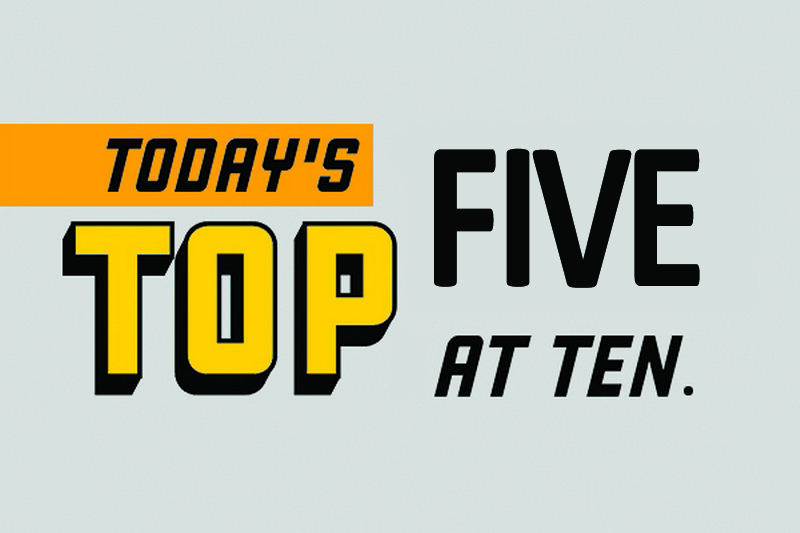 This guest Top 5, replacing our Top 10s, comes from Kate Preston, Bronwyn Bruce-Brand, Ben Davies, Dom White and Sophie Hale of economic research institute Motu. 1. How many years do we lose to the air we breathe? In this article, the Washington Post walks us through estimates of the loss of life expectancy due to fine-particle air pollution from countries and cities around the world. In the worst affected cities, the local air pollution shortens the lives of residents by 12 years. In the US, 22% of the country lose more than a year of life to air pollution, and the figure is as high as 2 years in some cities. Fortunately for us here in New Zealand, air pollution has approximately zero impact on our life expectancy. 2. Luxembourg just made all public transit free. It won’t be the last country to do so. On December 5th 2018, Luxembourg made all public transport free. For everyone. In Luxembourg the move was more of a final step than a large leap. With some of the worst traffic in the world, the small country has slowly moved toward freer public transport with low everyday fares and free fares for young people. It’s not the only country moving in this direction with others across Europe slowly inching their way toward full public funding one city at a time. Funding mechanisms are pretty clear cut with taxes placed on large firms who rely on public transport for their workers. Whether these taxes are implicitly passed on to those who work for these companies is unclear. Thus far the fare-free decision is proving popular, with increased ridership and eased traffic congestion. 3. Dynamics of Pretrial Jail Populations. Since July 2016, the state of Connecticut has published a daily census of its pretrial inmate population. This post by Harvard PhD student Alex Albright demonstrates a fall in such inmates around Christmas time. Alex suggests two mechanisms through which this drop may occur. First, prospective inmates may be less likely to commit crimes during the holiday season. Second, existing inmates may be more likely to have their bail posted by loved ones who wish to spend time together over Christmas. 4. Analysis of elite soccer players’ performance before and after signing a new contract. This article looks at the effect of new contracts on the performance of football players in Europe’s top leagues. There was prior evidence that in the year leading up to a new contract, a footballer will increase their performance and in the year after a new contract they will drop off their performance. This study looks at defenders, midfielders and forwards from the top league in: England, Spain, France, and Germany. So, while a club may be convinced the promise of a lucrative new contract will motivate their players to improve their performance, it may not be that simple. 5. The Phylogeny of Little Red Riding Hood. These researchers explore the transmission and evolution of oral narratives across cultures, using phylogenetic techniques developed for evolutionary biology. In this field, similar folk tales can be classified into "international types" and traced back to their original archetypes. Authors analyse data on 58 folktales using cladistic, Bayesian and phylogenetic network-based methods to explore the origin of the story of Little Red Riding Hood, allegedly as one of the most debated international types in literature. Free public transport until critical mass is reached is a brilliant idea for any city wanting to promote a more air-friendly environment. Even for those that use it a lot, a simple bar-coded swipe card (or phone) for a nominal sum could be set up I'm sure. Maybe there's 100 free trips before a small charge is kicked in. Come on New Zealand, this is not rocket science. "Hello, is that Auckland City Council. Hello is anyone there?" Surely...surely Luxembourgh will see its error and learn that the only answer is more roads rather than making it easier for people to use less congestion-causing options?!? What is this madness? They also have highest rate of car ownership in the EU and some of the lowest petrol taxes. It was pointed out in Sydney, 40 years ago, that making public transport free would actually be cheaper for society as a whole. It fell in the face of the dog-eat-dog Reagan/Thatcher/Douglas wave which - in hindsight - was a temporary thing. So many societies don't realise what goes in or out of the whole (energy in the case of transport) and how society is better-off with less outside input. FREE...i don't think so,someone,somewhere is paying.More than likely my rates. That's why, (see my comment above). You both missed my point - society as a whole is better off. I got it and agree, just acknowledging that some will never be convinced it didn't cost them something and there will always be a politician riding that wave that surfs into power. Hi I work in the transport sector and NZ is not immune to air pollution - the main danger to society is fine particulate emissions from vehicles especially diesel vehicles, smoky exhaust pipes and buses; also cruise ships and other shipping burning marine diesel contribute a lot of pollution. Sitting on a busy street breathing all the exhaust gases is of asmoky trucks, buses etc is a definite health risk and is well above international pollution guidelines, loosley comparable to sitting their smoking cigarettes. My advice is minimise your exposure to exhaust fumes where possible especially crowded streets with stationary idling vehicles especially for children. Try driving less, park away from the school for your drop offs, turn off our car when stationary for more than 20 seconds etc...and stop to smell the roses.